I have a pretty cool opportunity. I have an opportunity to possibly go interview some major basketball players and legends at the NBA All Star Game this year in New Orleans. I know I normally don’t plug my stuff too much on this blog and try and just deliver loads of fantastic content…but today I’m asking for you to check out this competition. 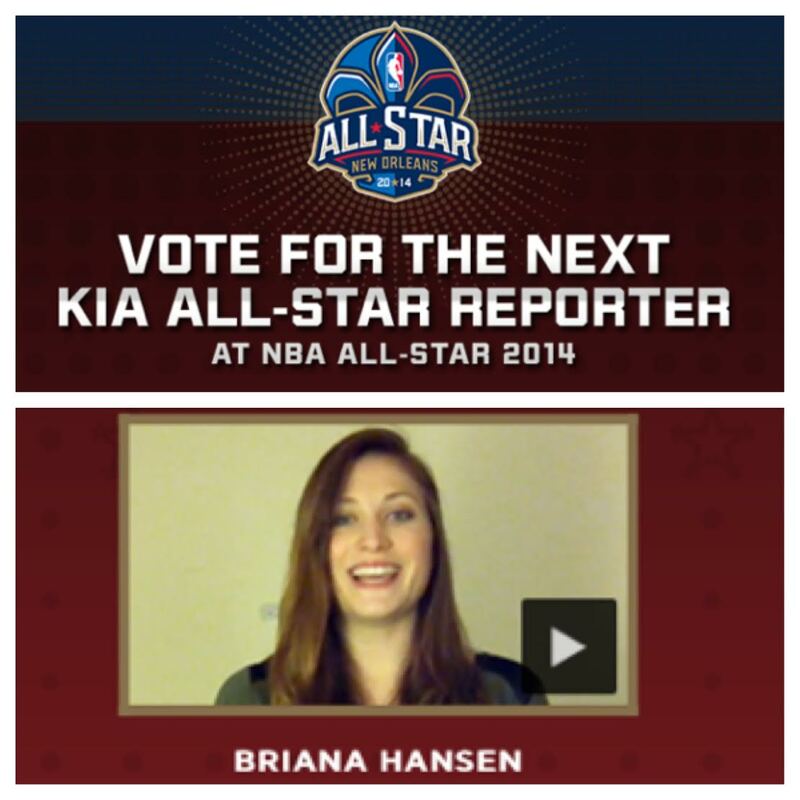 http://www.kiaallstar.com. Vote for Briana Hansen. Either way, it was a delightful video to make and has been a joy to get this far in the process. But a trip to Nawlans would be pretty sweet, too.